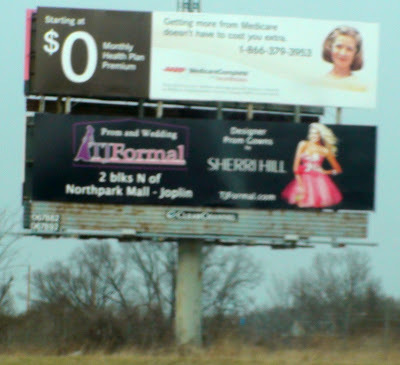 TJ Formal Dress Blog: TJFormal Billboards! If you are in our local area, have you seen our billboards? We have both digital and regular billboards, all around the area, on highways and in town. Have you seen them? If you see one of our billboards, mention where, when you come in the store and we'll give you $20 off shoes or accessories when you buy a dress! I've seen these all over town!